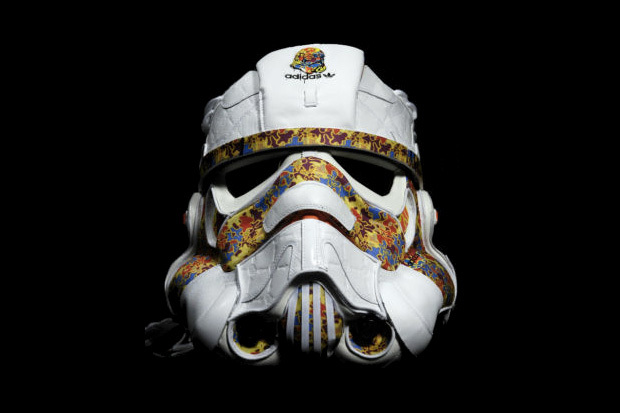 Artist Freehand Profit reimagined two pairs of Adidas Star Wars Superskate Mid shoes & a prop replica to create this remarkable Stormtrooper helmet. Designed specifically for the popular blog Star Wars Remix, the art piece is currently available for the president of the math club to win on eBay. He'll have to beat the current bid of $1025.